First of all, Bruschetta is pronounced "brusketta" with a hard "c" after the "s" and not "brushetta"!!! 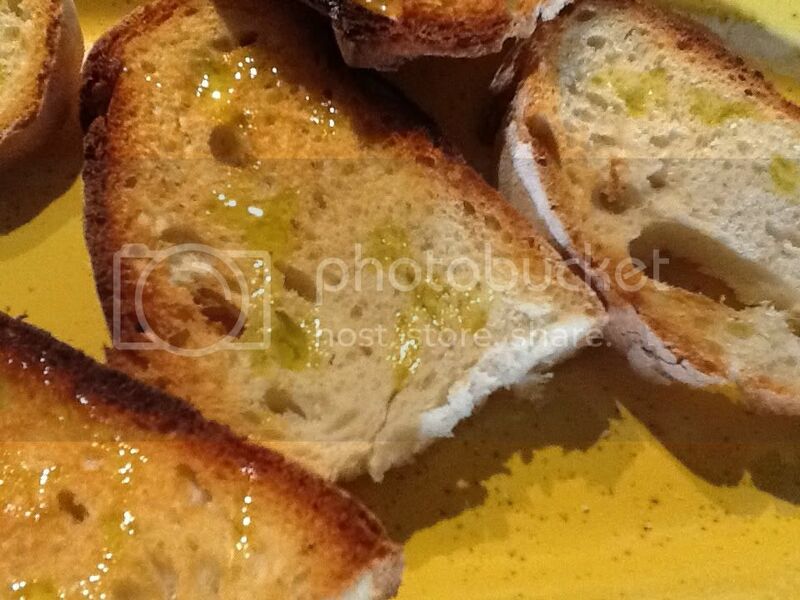 The classic bruschetta is simply slices of crusty bread toasted over hot embers and with delicious extra vergin olive oil drizzled over it. 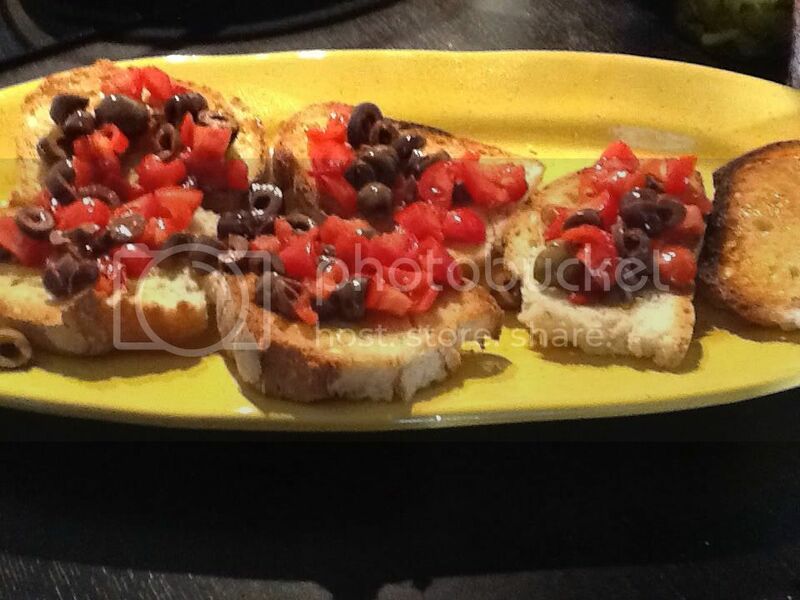 However in recent years it has evolved into a tasty appetiser with a variety of toppings, the classic topping being cubed, firm, ripe tomatoes, chopped garlic, fresh basil and extra vergin olive oil. This is a really quick appetiser or, depending on what you use as a topping, even a quick lunch! 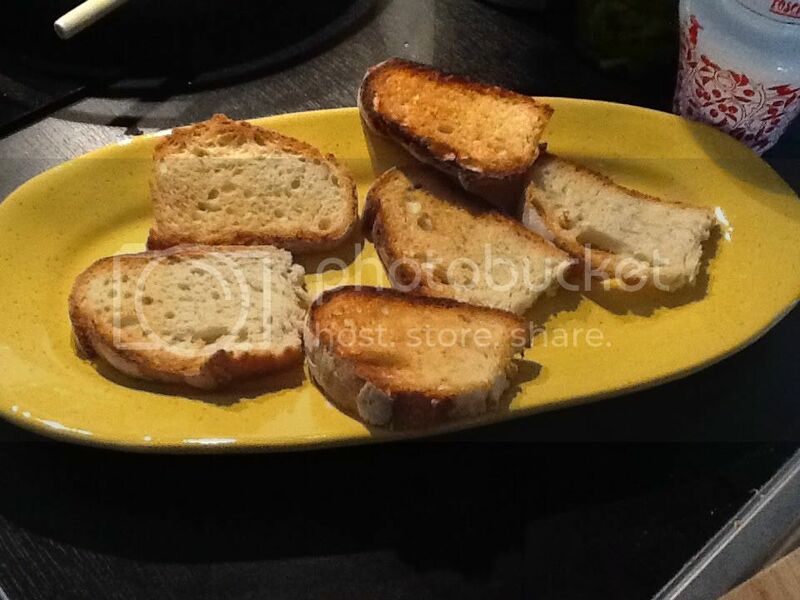 You will need some firm, crusty Italian style bread. If it is day or tow old it will work even better. So this is a great way to use left over bread. Cut the bread into slices that are about 1/2" thick. Set aside. Now make your topping. 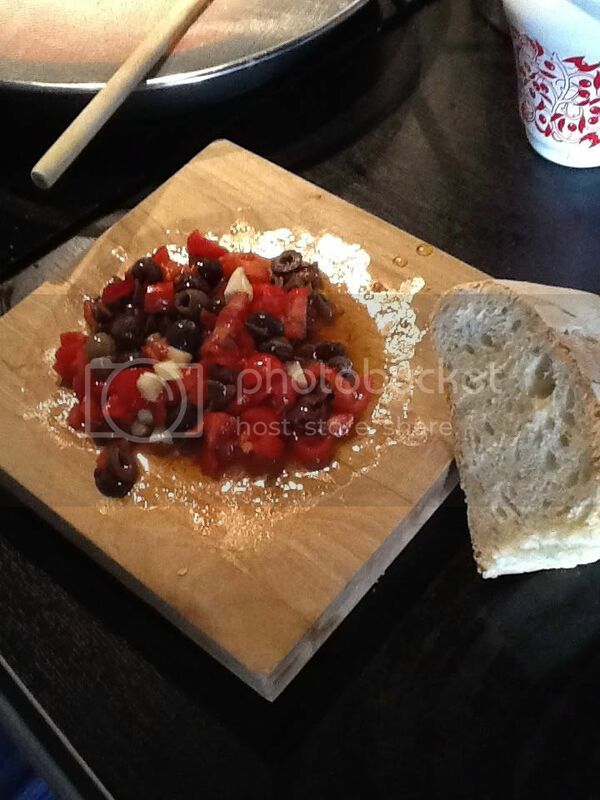 Today I used a mix of cured black olives, red chili peppers, fresh tomatoes, garlic and olive oil. I just chopped up some olives, chili peppers and tomatoes; I added some coarsely chopped garlic so I could remove the pieces before assembling the bruschetta. I seasoned it with extra vergin olive oil and mixed it all together. Next rub the slices of bread with a clove of garlic cut in half, toast it under the broiler (or over charcoal embers if you happen to have them around!) and drizzle with olive oil. 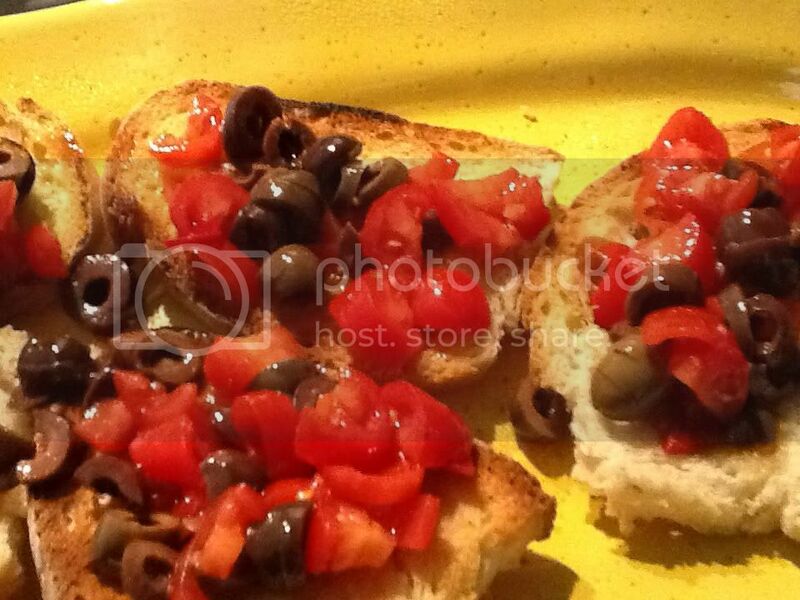 Now spoon the topping onto the bread slices and serve! and as Julia Child would have said had she spoken Italian...BUON APPETITO! just reading this comment!! ;) so we will be waiting for you in Asiago! !